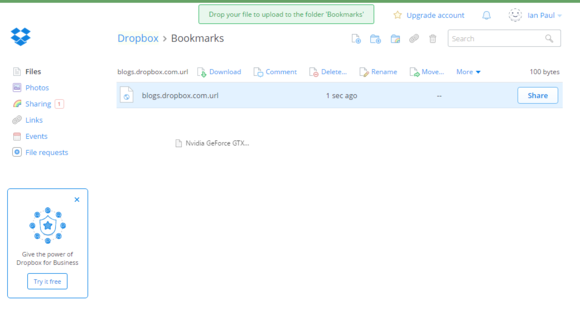 Dropbox's new drag-and-drop feature for the web app makes it easier to use Dropbox as a bookmarks repository. Dropbox recently added a new feature that will come in handy for browser agnostic types. 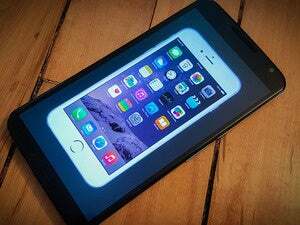 If you spend your day between using Chrome at home, Internet Explorer at work, and Safari on your phone, then accessing your bookmarks can be a problem. 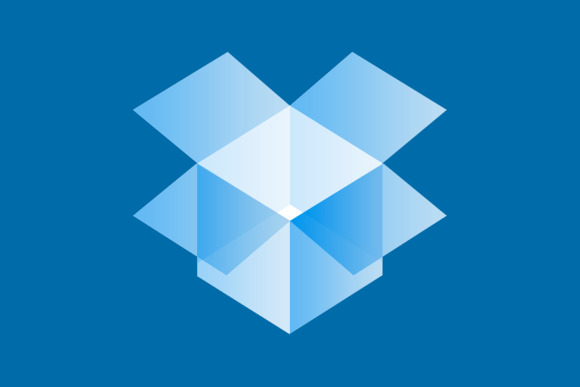 There are services such as Delicious and Evernote you can use, but now another alternative is Dropbox. The cloud storage and sync service now lets you drag-and-drop bookmarks into the Dropbox web app, or you can drop them into File Explorer on the desktop—a feature that is not specific to Dropbox. Here’s how to use Dropbox to create a trove of bookmarks that’s independent of a particular browser. First, create a new folder in Dropbox called Bookmarks (or whatever other term you’d prefer to use). 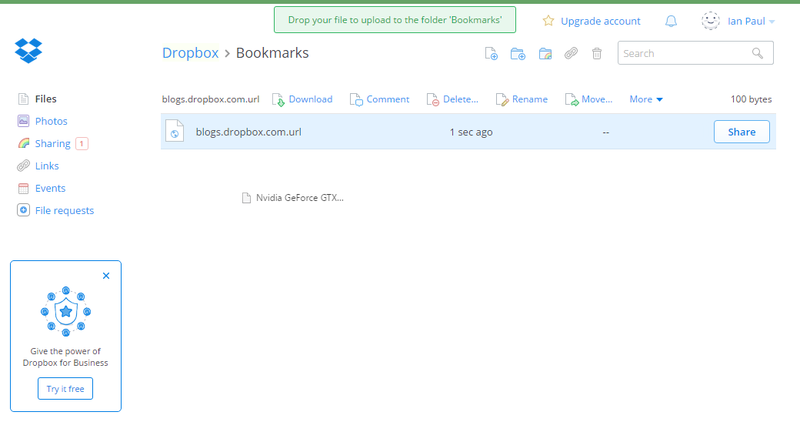 You can drop URLs anywhere into Dropbox, but for our purposes here we’re talking about how to create a bookmarks folder. If there’s a URL or set of URLs you constantly refer to for a work project it would make more sense to save those web addresses to the project folder. Dropbox now lets you easily drag-and-drop URLs for bookmarking. Now it’s time to start dragging new URLs into your new bookmarks folder. To start, find the page you want to bookmark and then click the little icon that shows up to the left of the web address in your browser. In Chrome it looks like a piece of paper with a folded corner, in Firefox it’s a globe. If you’re on a site with HTTPS encryption you’ll see a green lock icon. Microsoft’s newest browser Edge did not support the drag-and-drop link feature in my tests. That may change in the coming weeks as Microsoft continues to roll out improvements to Windows 10. Internet Explorer also doesn’t support this new Dropbox feature. Once you’ve clicked your link drag it over to the Dropbox.com browser tab and then drop the link into the bookmarks folder. If you can’t use the browser then drop it into the Dropbox folder in File Explorer. At this writing, Dropbox had not released a tool to export bookmarks from a browser to the cloud service. That’s about all there is to the new Dropbox feature to help you keep your bookmarks separate from a particular browser ecosystem.